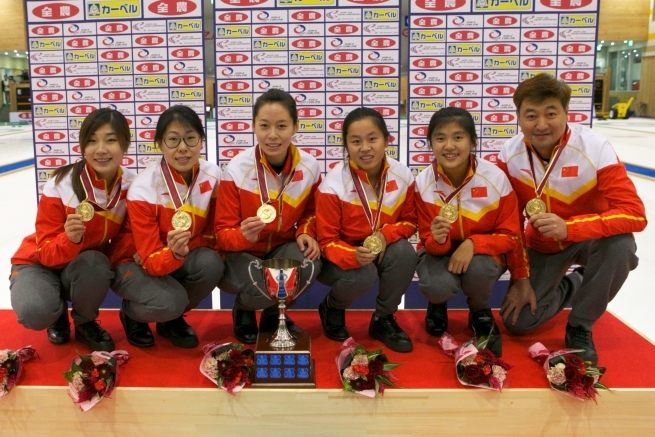 China women won gold while Korea took silver and Japan bronze at the Pacific-Asia Curling Championships 2014 being held in the Karuizawa Ice Park Curling Hall. China’s win also guaranteed their nation the final Pacific-Asia zone place at the World Women’s Curling Championship 2015, with Japan, the other team, participating as hosts. In the gold medal game, Korea blanked the first end before their skip Eun Jung Kim drew around a guard to score one point in the second end. In the third end, China skip Sijia Liu made a freeze onto a Korean stone in the eight foot ring to leave one stone in a scoring position. The Korean skip then tried the same shot but came up short which allowed Liu to draw into the house for two points. In the fourth end, a double-take out by China skip Sijia Liu forced Korea to make a draw for one point. In the fifth end, Liu nicked a guard with her first stone, as did Korean skip Eun Jung Kim. With her last stone however, the Chinese skip couldn’t knock out a counting Korean stone to give up a steal of one point to leave the score 3-2 to Korea at the fifth end break. In the sixth end, China skip Sijia Liu made a double takeout to score two points before Korea hit back in the seventh end as their skip Eun Jung Kim made a draw into the house to tap out a China stone to score two points. In the next end China could only take one point when their double takeout attempt couldn’t move the second Korea stone far enough. Korea then took one point from the ninth end when their skip Eun Jung Kim made a hit and stick. In the tenth end, the Korean skip made a crucial double takeout with her first stone which eventually limited China to drawing for one point to force an extra end. This went right down to the last stone and some good setup play resulted in Korea skip Eun Jung Kim attempting a hit with her final stone. 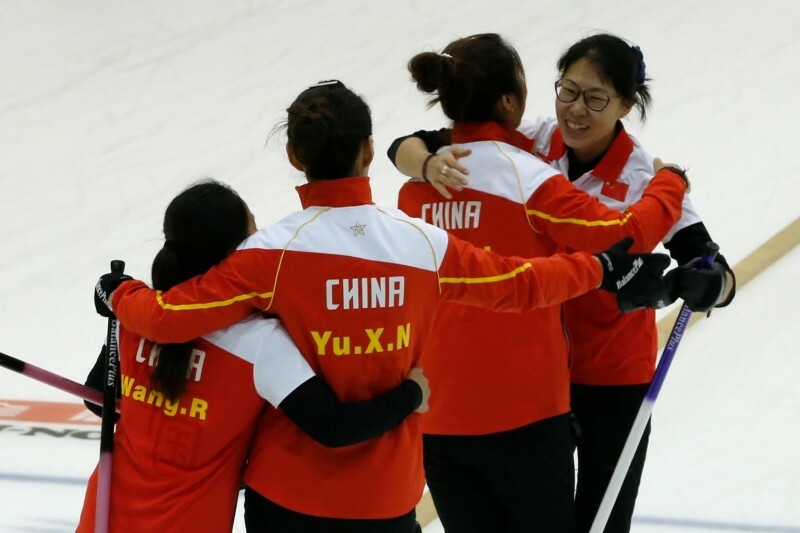 She connected with the Chinese stone but rolled too far, which allowed China to steal the game and the gold medals as they scored one point to win 7-6. This was China skip Sijia Liu's first ever Pacific-Asia Championship medal. She was supported by third Jinli Liu, second Xinna Yu, lead Rui Wang, alternate Jie Mei and coach Wei Zhang. After the game, Liu said: “I’m feeling so good right now – wonderful! We are a new team and we have prepared, every one of us. We know we have some weakness in our team but we knew we needed to make ourselves stronger to qualify for the Worlds. For Korea skip Eun Jung Kim, this was her team's second Pacific-Asia Championship medals after they won bronze in 2012. Her team comprised of Kyeong Ae Kim at third, Seon Yeong Kim second, Yeong Mi Kim at lead and Min Jung Kim as alternate. They were coach by Patti Wuthrich. After the game she said: “The last shot wasn’t typical for me. I felt uncomfortable and I’m very disappointed to miss the shot. The rest of the game went according to plan, I just missed that last shot. In the bronze medal game, Japan took a major advantage in the fourth end when Japan skip Ayumi Ogasawara was wide with her final takeout attempt but still managed to score three points after some good setup play. Japan followed that up by stealing two points in the next end when New Zealand fourth Thivya Jeyaranjan was short with her final draw to make the score at the fifth end break 7-2 to Japan. New Zealand blanked the sixth end before taking one point in the seventh and ninth ends with Japan taking one point in the eighth end. 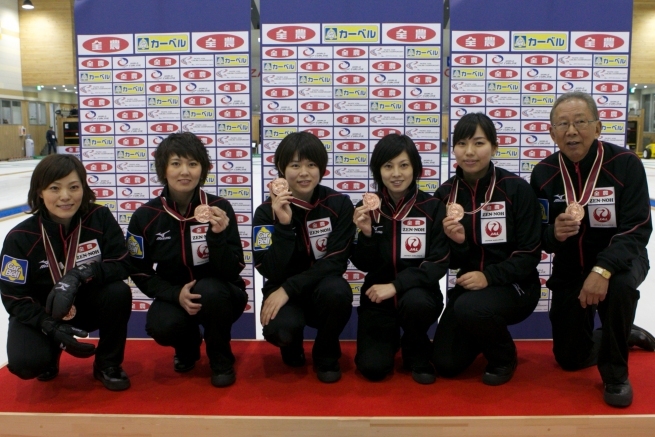 Japan eventually ran New Zealand out of stones in the tenth end to clinch their 8-4 victory and take the bronze medals. This was skip Ayumi Ogasawara's sixth Pacific-Asia Championship medal. Her teammates included Sayaka Yoshimura at third, Kaho Onodera at second, Yumie Funayama as lead and Anna Ohmiya as alternate. They were coached by Fuji Miki. Gold: China 7, Korea 6. Bronze: Japan 8, New Zealand 4.